Please take note that Saffron Road will be closed next Saturday, June 16. 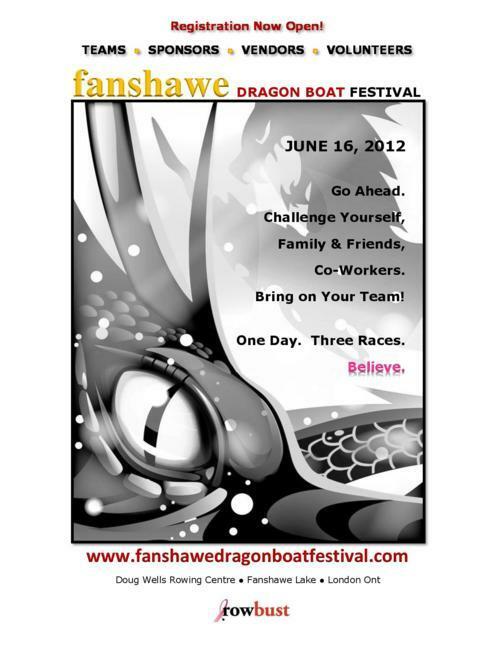 We, the staff, will be taking team work to a new level and paddling our hearts out in the Fanshawe Dragonboat Festival. All are welcome to come and support; we hope to see you there!